Madison Bumgarner pitched another thrilling game that added to his growing post season legend. But sadly we will never get to see Oscar Tavares blossom into the star he could have become. It was a conflicted and strange night of baseball for today’s episode of The Sully Baseball Daily Podcast. 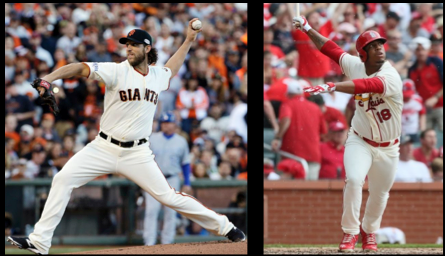 Madison Bumgarner, Brandon Crawford and James Shields all owned October and the World Series last night. This entry was posted in bullpen closer, James Shields, St. Louis Cardinals, Sully Baseball Daily Podcast and tagged 2014 Kansas City Royals, 2014 San Francisco Giants, James Shields, Kansas City Royals, Oscar Tavares, San Francisco Giants, Sully Baseball Podcast. Bookmark the permalink.